The hotel gym was well equipped and the free hire bikes were a nice touch and allowed us to explore the trails along the river bank towards Brisbane. Close to Brisbane airport and Skygate; excellent Indian restaurant 1.1 kms down the road (easy walking); other food outlets and shops also. Great appartment, helpful staff, best coffee in Brisbane down stairs, street full of good food on the way to the Queens St Mall, close proximity to all the shopping available in the QSM, centrally located to everything you require whilst visiting Brisbane. We've stayed here before & find it very convenient for the Brisbane Airports with a Shuttle Bus pick-up point just outside the entrance. 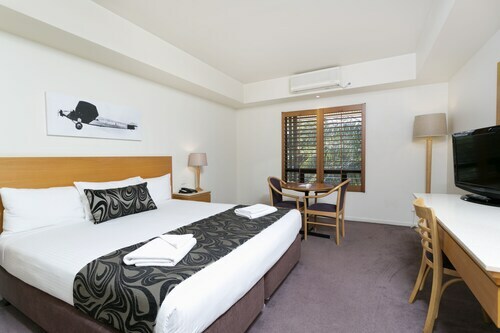 I was looking for accommodation close to the Brisbane airport to facilitate the pick up of family arriving by plane, before moving on to Noosa for a vacation. 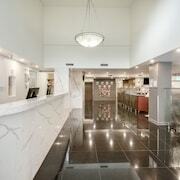 We booked this hotel for a sporting event in Brisbane and although it is 30 min drive from the CBD it is very close to a major shopping centre and the cost of bus/uber is worth it when considered the price of the hotel compared to others. Longing for a holiday? Book a holiday in Brisbane, and you won’t be disappointed. Located on Australia’s east coast, Brisbane is the capital of Queenstown. This eclectic city offers a little bit of something for everyone, including nature, adventure, culture, and much more. Start off your adventure with a view and an adrenaline rush by walking up the Story Bridge. During the guided tour, you’ll climb 80 metres above the Brisbane River and receive a bird’s-eye view of the city. 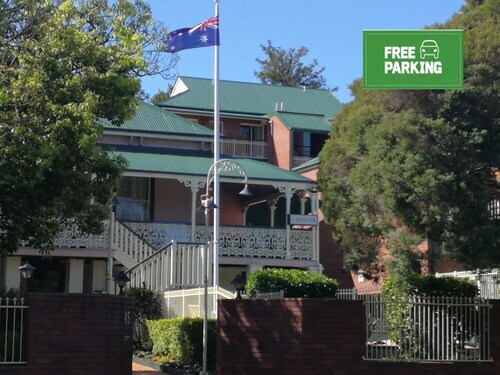 Come back down to the ground and explore the City Botanic Gardens, picnic in Roma Street Parkland, and admire the contemporary masterpieces as the Queensland Art Gallery. No holiday is complete without doing a little shopping, so you won’t want to miss the Collective Markets, where you’ll find everything from handmade jewellery to antique treasures. Would you rather kick back and relax? Take a dip in South Bank, a man-made beach in the middle of the city, or have a go on a cruise along the river. However you’d like to spend your getaway, you’ll find the ideal holiday vibes in Brisbane. 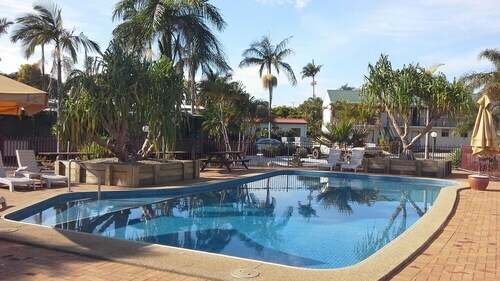 In search of Brisbane accommodation? You’ve come to the right place. 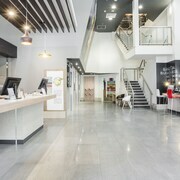 Here at Expedia.co.nz, we offer an assortment of lodging to ensure you find one that suits your travel needs. If staying close to the tarmac is important to you, choose one of our Brisbane airport hotels that provide easy access to the terminals. 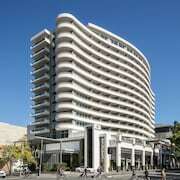 We also feature accommodation in Brisbane CBD, not to mention places in Fortitude Valley and New Farm, too. Take a look at our selection and you’ll find lodging with on-site restaurants, outdoor pools, fitness centres, and more. 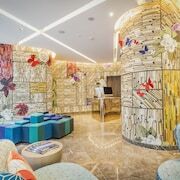 Whether you’re travelling with your partner or exploring solo, there’s a hotel that’s eagerly awaiting your arrival. Before booking your Brisbane trip, consider the city’s different seasons. The coldest temperatures usually occur between June and August, while December through February typically sees the warmest—but also wettest— weather. 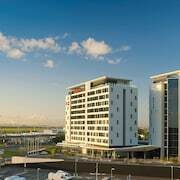 Next, fly into Brisbane Airport (BNE), which is located just 17 km northeast of the city centre. Consider hiring a Brisbane rental car or hop in a taxi for the short ride to your destination. Alternatively, if you’re travelling from the nearby Gold Coast, drive north on the Pacific Motorway for 83 km, but if you’re coming from Sydney, head north for 925 km. 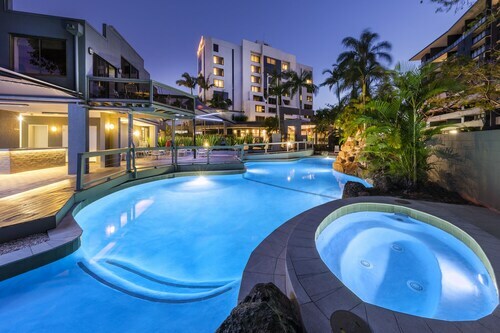 Your Brisbane holiday is just a few clicks away. 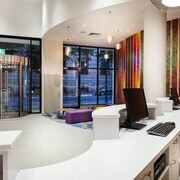 Allow us here at Expedia.co.nz to assist you in finding Brisbane hotels that fall within your fall price range. Thanks to our discounts and low rates, you’ll have more cash to spend on your tours and activities. To top it all off, you can save even more when you pack your lodging, flights, and rental car into our vacation packages. Your trip won’t book itself, so make reservations today and start packing your bags for a getaway on Australia’s east coast. Explore Brisbane with Expedia.co.nz’s Travel Guides to find the best flights, cars, holiday packages and more!